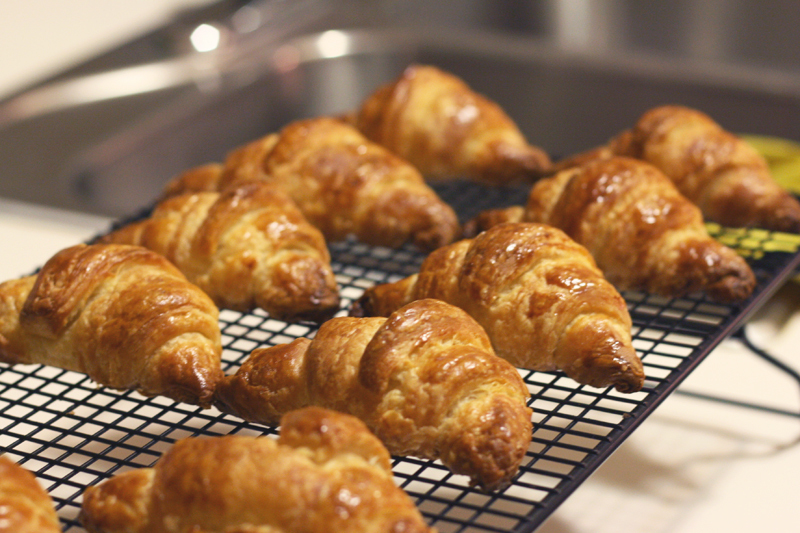 I made croissants from scratch! It took about forever but I think well worth it. As they were proofing I got a little worried because the recipe said they would triple in size, but they didn't. Thankfully I didn't throw it out at that moment because they came out nice after their time in the oven. They are by no means perfect but am satisfied with my first attempt. I can't wait to try again!